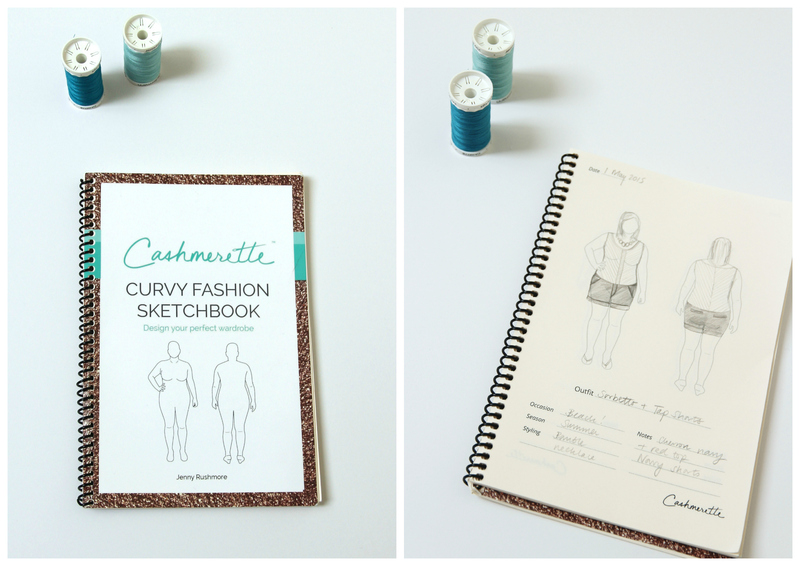 Announcing: the Cashmerette Curvy Sketchbooks – and a giveaway! 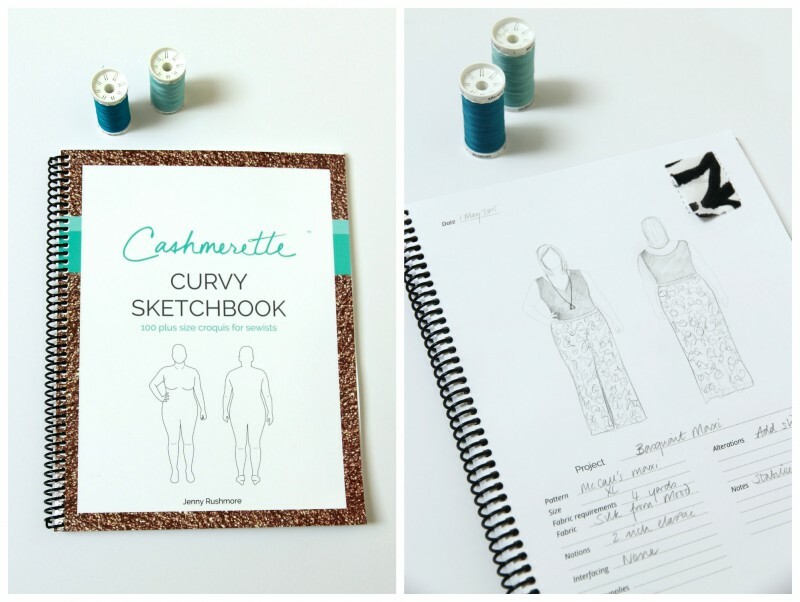 Today, I’m super excited to share something I’ve been secretly working on for the past few months: the Cashmerette Curvy Sketchbook line! They are exclusively designed for curvy sewists and fashion lovers, and they’re available for sale today at 20% off at my microsite here. If you’ve ever tried to draw clothing free-hand, you know how difficult it can be! These sketchbooks were created to help you capture ideas for garments or outfits by drawing on top of a croquis (figure outline), resulting in a proportional and professional sketch. Each sketchbook features 100 plus size croquis which are lifelike and light in colour, making it easy to create a beautiful drawing. I’ve been using mine for a while now, and I just love seeing sketches that actually look like me! I decided to design and launch these books out of my frustration with what was available: sketchbooks with figures that are so thin and tall that they don’t even look like human beings, let alone me. That might be OK for fashion designers who just want to get the essence of a look – and are designing for models – but it’s very unhelpful if you’re a curvy sewist. I couldn’t see any details of the garments, and it was dispiriting to end up with a drawing that looked nothing like what I see in the mirror. I’m passionate about plus size women being included in the world of sewing, so I decided to take matters into my own hands! The books went through several iterations to make sure they are useful, practical and fun to use. This 8.5 x 11″ sketchbook was designed specifically for sewists, with a spiral bound spine so it lies flat in your sewing space. 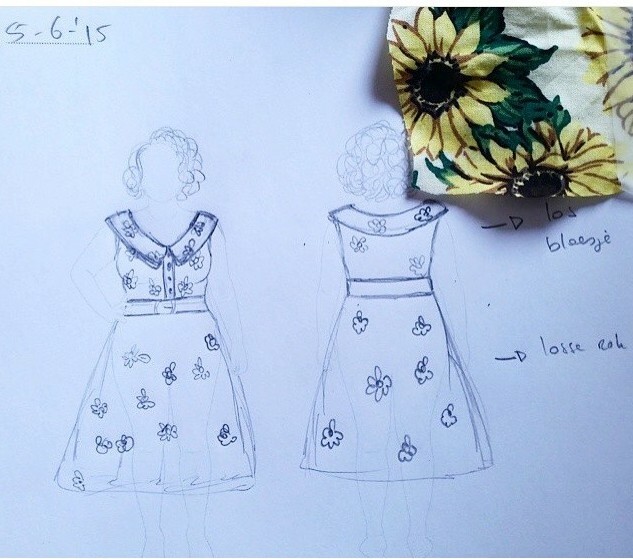 In addition to 100 plus size croquis, there is space on every page to make notes about your pattern, fabric, construction, alterations and more, and a spot to add a fabric swatch. 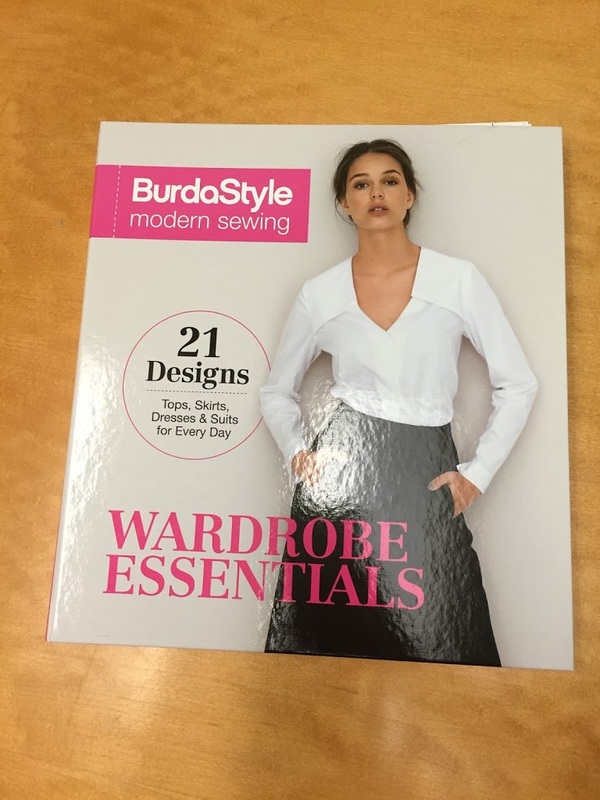 There’s also a place to record measurements (with room for 6 sets if you’re sewing for multiple people, or your own measurements change), a wardrobe planner with lots of smaller croquis on each page, and a pattern and fabric inventory. It finishes with a directory of online resources for curvy sewists. To celebrate the launch it’s 20% off the list price of $17.99 for the first week. This smaller 6 x 9″ sketchbook was designed to keep in your handbag for when inspiration strikes! There are 100 plus size croquis, together with space to make notes on the season, occasion, styling and more. To celebrate the launch it’s also 20% off the list price of $13.99 for the first week. I can’t quite believe that my sketchbooks are now out in the world! I hope you like them, and please let me know if you have any suggestions at all for improvements to make for version two. Happy sketching! 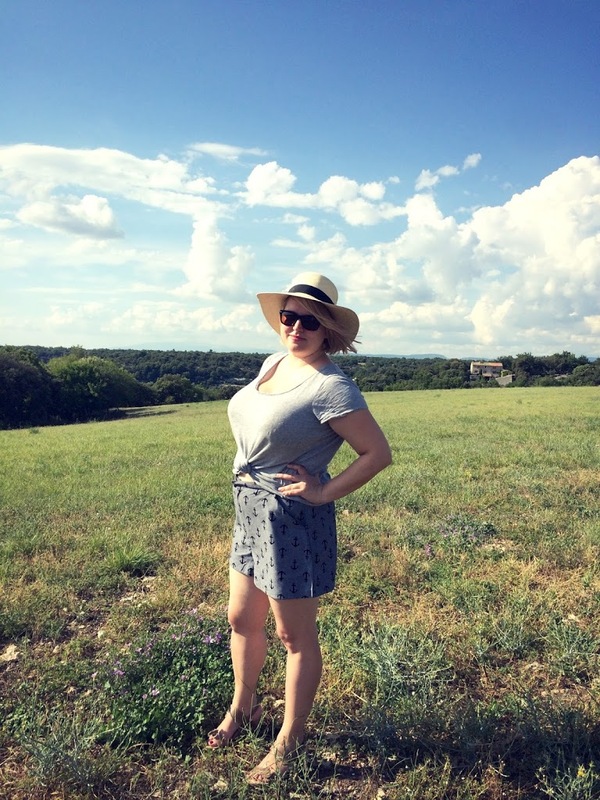 How to use a curvy fashion sketchbook & a summer weekend sale! Okay, this was way better of an announcement than I was dreaming up. 😀 😀 So excited! I’m sure the sketchbooks will be a great success. What a great idea! Congrats! Hi Jenny. Congratulations on your sketchbook launch! I believe you’ve created an item that truly fills a need and niche, which is hard to do in this day and age. I lost my job a little while ago so I can’t buy anything right now, but I will surely keep your book on my wish list for when things are better. BTW I think your blog is just lovely… good inspirations and entertaining posts. Seeing you appear on my Bloglovin’ feed is always a bright spot in my day. Keep up the great work, and happy curvy stitching! Hi Meg, thanks so much for your kind words! And I hope things are better for you very soon. YAY! Just what I’ve been needing! This is fantastic!!! CONGRATS girl!! OMG so brilliant! I’m already plotting the photos I can send in! Hi, Jenny! Congratulations on your new book! I just purchased one, and I can’t wait to receive it. Thank you! Thanks so much MaryBeth, I hope you enjoy it! What a great idea – your curvy sketchbooks will definitely fill a gap in the market! The fashion ones are so elongated, aren’t they – I think they add a full head length to the legs; so unrealistic! Your mention of legal issues with global giveaways has made me a bit worried – I’m in Australia, and I do sometimes hold global giveaways. Is the issue to do with prize value / tax implications, or is it something that’s only applicable to skill-based competitions? If you have time, I’d really appreciate if you could point me in the direction of more information on this subject. Thanks! Very cool! Congratulations on your new books! I may have to finally bite the bullet and join IG just to see what everyone comes up with for their contest entries. Congratulations on this idea, and launch! This is just brilliant. It took me a long time sewing before I realized I, little old me, could customize anything. And this is such a useful tool. oh gosh I LOVE this! I had printed a simplified version a little while back but I am ordering yours! Cannot wait to get it! Oooh. I’m really interested in the personalized one. I’ll e-mail you! Hi Lana – the book is actually printed all around the world including in Europe so shipping for you would be under 5 euro! Just lost all controll over my buying finger, it just slipped…. I am more of a crafter than a sewer but think this is a fabulous idea and will be a huge success. I shared on Pinterest. Best of luck with your new venture! Pingback: Meet the Judges: Jenny Rushmore of Cashmerette | Sew Mama Sew | Outstanding sewing, quilting, and needlework tutorials since 2005. 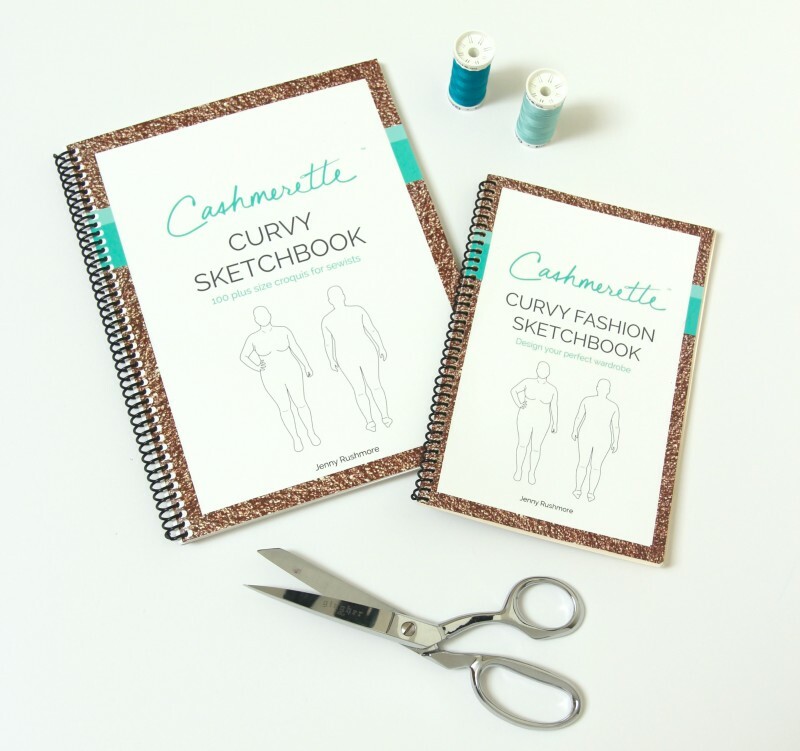 I think these curvy sketchbooks could apply to virtually everyone, not just curvy girls, most of us do not fit in the standard, and look nothing like the stick pins they use as representations for croquis, so whether you are size 2 or size 22 this is going to be a great tool! Great to see that the non standard figure is finally getting a look in!